These Are The Most Powerful Magnets in the World! There are absolutely no neodymium magnets for sale on the face of the planet stronger than you will find here at Magnets For Sale. That is our story here at Magnets For sale and CMS. We have only the top grade magnetic materials not the recycled materials that are sometimes substituted as first rate. This is what we do and all that we do. We have the neodymium magnets for sale! 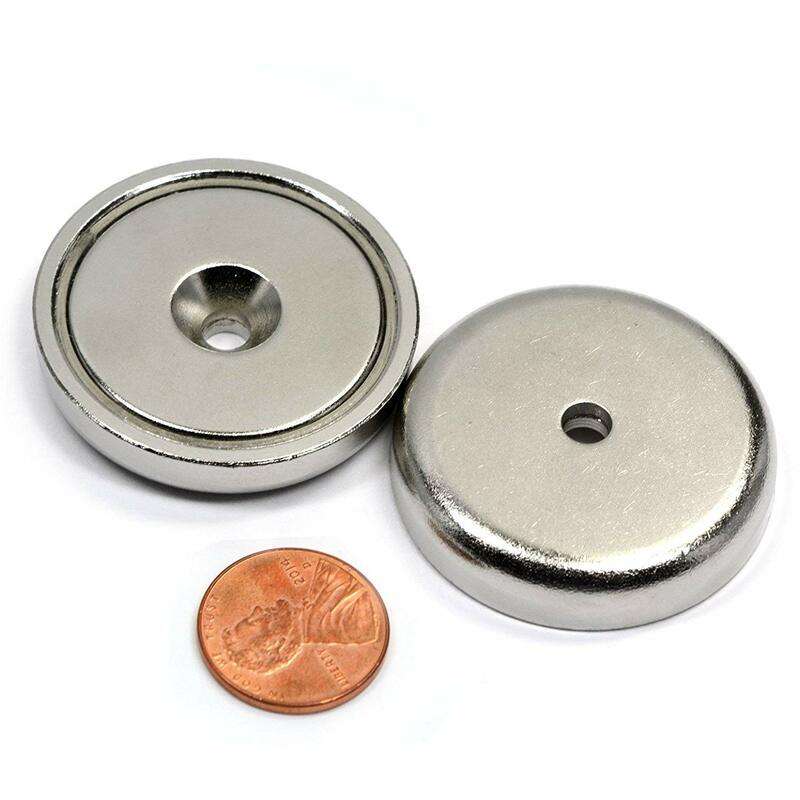 Here at magnets For Sale & CMS neodymium magnets for sale customers are our #1 priority and getting you the right magnet for your project just makes our day. We have a huge inventory on site centrally located in the country to get them shipped to you fast. We also realize that few people purchase powerful magnets more than a few times in their lives. What that mean is unless you just happen to have a PhD in physics in your back pocket you may have a few questions about your neodymium magnets for sale or where to buy rare earth magnets or where to buy neodymium magnets? Then there is the question what is the difference between rare earth & Neodymium. Magnets For Sale is a full service magnet store. Our 1st class customer service will answer all of your questions then take your order right over the phone if you wish or you can ask the questions & then go to Magnet4sale.com and order them there at your leisure. We have a fast moving inventory of neodymium magnets for sale right here in Texas and more coming in from our super powerful Magnets manufacturers everyday. What this means is if you order 5 strong neodymium magnets to see if they will work in your large project and they do work, you can get 500 or 1000 or 10000 more the next day. Without a doubt MFS is the place to buy powerful magnets. We have bulk strong neodymium magnets at bulk super powerful Magnets prices for large orders but will very gladly sell you a single magnet for that shower curtain at home too. The super strong neodymium magnets have a higher Maximum Energy Product, typically stated as (BH)max, than Sm-Co magnets. (BH)max of NdFeB can easily reach 30 MGOe and even goes up to the super strong 52 MGOe. NdFeB super strong neodymium magnets can replace SmCo magnets in most cases, especially where operating temperature are less than 176 degrees Fahrenheit. The temperature stability of NdFeB is not as good as SmCo magnets. Magnetic performance of super strong neodymium magnets for sale will deteriorate rapidly above about 176 degrees Fahrenheit. Compared to SmCo magnets, the corrosion and oxidation resistance of NdFeB is relatively low. Sintered NdFeB permanent magnets are made with several steps. At first, a NdFeB alloy is formulated based on upon the desired properties of the final super strong neodymium magnets product that it’s supposed to reach. The alloy is produced in a vacuum furnace and then crushed into a powder form. Sintered strong neodymium magnets permanent magnets are formed by powder metallurgical process. These super strong magnets can be die pressed or isostatically pressed. During the pressing process, magnetic fields are applied with the assistance of specially designed processes that align the super powerful Magnets "domains" of the material and optimize the magnetic performance of these super strong magnets. The pressed magnets are then placed into a furnace under special atmospheric conditions that are conducive for achieving the desired result of a strong magnet. After sintering, the shape of the super strong neodymium magnets are rough and barely resembles the appearance of the finished product, and need to be machined and ground into shape to achieve desired shape and size. 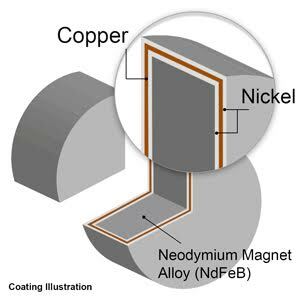 A surface coating is usually applied on these powerful magnets, with Zinc or a triple layer nickel-copper-nickel coating commonly used as protectives layers. Other materials such as cadmium chromate, aluminum chromate, tin or polymer (epoxy) are also used for this purpose. Both NdFeB and SmCo magnets can be made either in sintered or polymer-bonded magnets. The polymer (such as epoxy)-bonded magnets can be produced with close tolerances off tool, with little or no finishing required. Sintered strong neodymium magnets usually require some finishing operations in order to hold close mechanical tolerances. Sintered magnets however typically are the strongest magnets for sale anywhere and are more durable than bonded magnets and are the ideal choice for people who need powerful super strong magnets. If you someone you know needs to know where to buy strong magnets send them here locally yes we do pickup too. Our local buyers are many and they keep coming back. Neodymium magnets (also known as NdFeB) is the type of permanent magnet most widely used in various industrial and household products due to its (1) large magnetic strength, (2) high resistance to demagnetization, and (3) relatively cheap price. Though it is discovered in 1984, later than most of other types of permanent magnets, neodymium magnet is replacing alnico and ceramic magnets in many applications. 1. 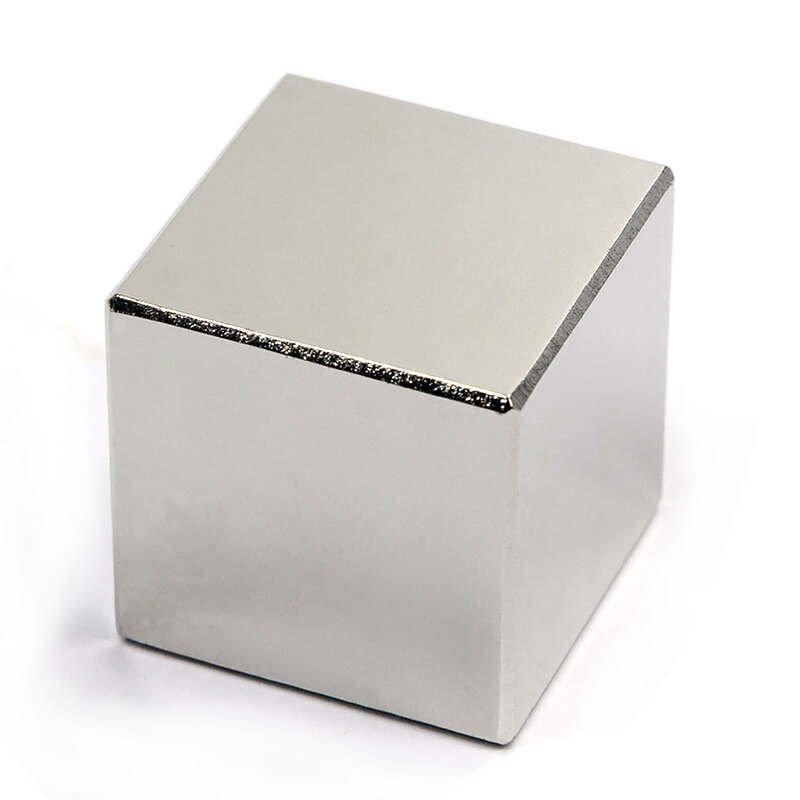 Use of sintered NdFeB permanent super strong neodymium magnets, as a piece or part magnet or when used in an assembly, made by non-licensed manufacturer is prohibited by Patent Law of the United States of America. All sintered neodymium-iron-boron (NdFeB) permanent super powerful Magnets for sale, which CMS Magnetics supplies, are licensed. There are many things about the startup and day to day running of CMS magnetic that you probably do not know about . Besides being the #1 retailer of all kinds of magnets for everyone from the home hobbyist to the industrialist we are the place to go for industrial magnet and all magnetic devices whether off the shelf or custom formed magnets. Sometimes when the tolerances are so tight or that only a custom made magnet will do we have our manufacturing team go to work and create just what it takes to get your job done. Cms is the place where to buy neodymium magnets, strong neodymium magnets! If you have not had the experience of working with strong neodymium magnets now is the time! If you are to order a strong neodymium magnet we encourage you to preview some of the videos on our Youtube channel. These magnets will baffle you into wondering where they came from. They are a true force of nature. These magnets are tools and almost any tool can hurt you if used carelessly by someone that is not educated in what to expect and that is why we want you to view the videos. So how can you buy rare earth magnets. Well CMS has rare earth magnets for sale (Neodymium & Samarium Cobalt). We do sell retail to consumers such as do it yourselfers & hobby magnets to crafters. We also have larger quantities of bulk magnets for sale too. CMS is where you can buy strong neodymium magnets for sale as or wholesale magnets. Yes do not let the secret out but CMS is also the largets supplier of wholesale magnets to the medical field, printing field and the US Government at the wholesale magnets level. If you ever hear anyone say where can I buy magnets near me? Let them know the answer is CMS Magnetics. Due to our very fast shipping you will have your magnets as soon as tomorrow or if you go to our Amazon Store maybe even faster. So really the answer truly is to the question where can I buy magnets near me is CMS Magnetics.